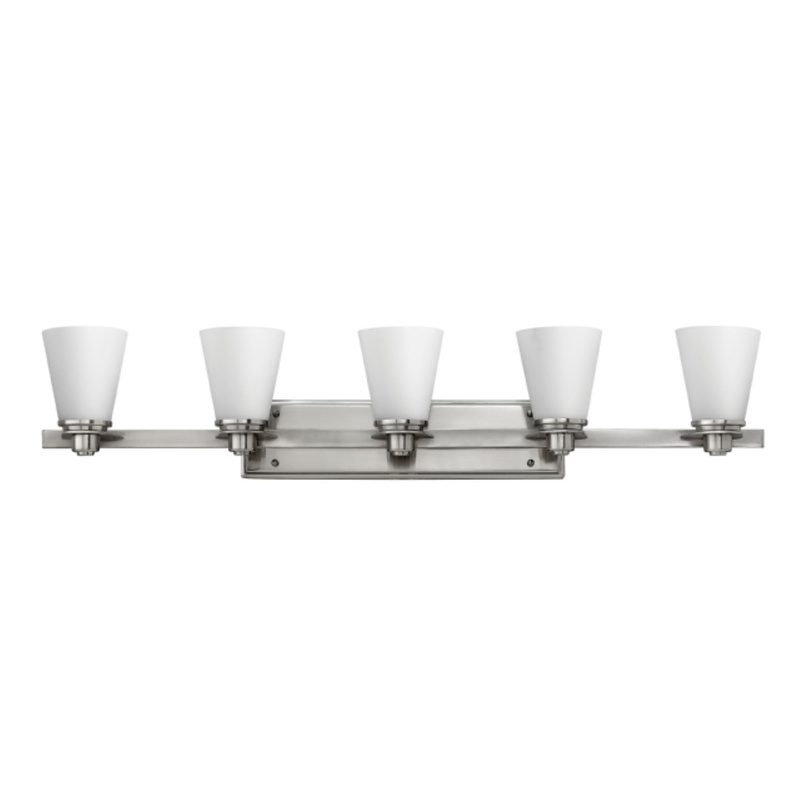 Hinkley Lighting Avon Collection 5-Light bath fixture in brushed nickel finish, features metal construction. The etched opal glass shade brings elegance to the home. This up/down mountable fixture uses five 100-Watt medium base lamps that have voltage rating of 120-Volts. It measures 40-Inch x 8-Inch. Fixture is C-US damp rated.